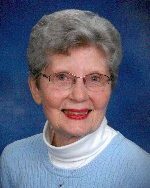 Lou Ann Castens, nee Rathert, 84, of Smithton, IL, born January 4, 1934, in Campbell Hill, IL, died Thursday, August 9, 2018, at the home of her daughter in Waterloo, IL. Lou Ann was a devoted and loving mother. She was very proud of her family and loved holidays and family get-togethers. Any chance she had to spend time with family was important to her. Lou Ann loved to sew and alter clothes for friends, family and neighbors. She was a member of Christ Our Savior Lutheran Church, Freeburg, IL, where she volunteered when needed. a brother-in-law, Robert Lodge; and a nephew, Marty Blair. a daughter, Nancy A. (Mike) Gregson of Waterloo, IL; six grandchildren, Jeremey (Stacy) Gregson, Jamie (Sarah) Gregson, Stefanie (Aaron) Cope, Angela (Chad) Sanders, Brandon Castens, and Kristen (Frank) Simek; nine great-grandchildren, Ian Matzenbacher, Charley Gregson, Damon Gregson, Alyssa Gregson, Megan Gregson, Brynne Sanders, Maya Sanders, Cecelia Simek, and Franklin Simek; three step-grandchildren, Nicholas O’Saben, Brendan O’Saben, and Alexander O’Saben; four sisters, Verna Dean (Lester) Blair of Percy, IL, Darlene Lodge of Puxico, IL, Carolyn (Lester) Lange of Campbell Hill, IL, and Sue (Tom) Pierceall of Chester, IL; four brothers, Marvin (Audrey) Rathert of Steeleville, IL, Orville (Marlene) Rathert of Steeleville, IL, Ken (Janel) Rathert of Kirkwood, MO, and Bob (Cookie) Rathert of Coulterville, IL; nieces; and nephews. Memorials may be made to Christ Our Savior Lutheran Church, Freeburg, IL, or to Hospice of Southern Illinois. Condolences may be expressed to the family online at www.rennerfh.com. Visitation: Friends may visit from 12:30 to 3 p.m. Saturday, August 11, 2018, at Christ Our Savior Lutheran Church, Freeburg, IL. Funeral: Funeral services will be held at 3 p.m. Saturday, August 11, 2018, at Christ Our Savior Lutheran Church, Freeburg, IL, with Rev. Bruce Keseman officiating. Burial will be at Smithton City Cemetery, Smithton, IL. It was truly a pleasure seeing Luanne. Although for years we hardly ever saw her because she was so healthy, likely because of her great attitude about life. Our staff will miss her dearly. Thanks for all the smiles!! My deepest sympathy to the entire family of Lou Ann. She was the sweetest lady and best seamstress. She made my first prom dress and it was perfect! I spent many a day growing up playing and hanging with Nancy. I’m sorry for your loss!!!! I know the love of your Mother will always be strongly felt in your hearts. We are so happy that we were able to know her and be a part of our lives for the past 14+ years. Much love to all of you. I'm truly sorry for your loss. Lou Ann was the sweetest, kindest person I've ever known. A rock in my life many times with open arms. Very heavy hearts out here for her and family. Bless our angel and indeed she was and will continue to be now with Wally. Much, much, love, Carol.